The parties tried this matter to the Court based upon an administrative record on July 12, 2010. Plaintiff T.G., by and through his Guardian Ad Litem, Stella Gutierrez [“Student”], was represented by Paul H. Kamoroff of Kamoroff & Associates. Defendant Baldwin Park Unified School District [“District”] was represented by Jeff Marderosian of the law offices of Jeff C. Marderosian. Having reviewed the administrative record, considered all prior submissions of the parties, and the arguments of counsel at trial, the Court enters the following Findings of Fact and Conclusions of Law. In late 2008, Student and District were the only parties to consolidated due process case numbers 200808193 and 2008080953 ("Case #1"). One month after the decision in that case became final, Student made demands upon the District that led to Student’s filing on July 27, 2009 of a second due process case with the Office of Administrative Hearings ("OAH"). That case was assigned case number 2009070989 (“Case #2"). On July 31, 2009, the District filed a motion to dismiss the due process complaint. On August 10, 2009, Administrative Law Judge ("ALJ") Peter Castillo granted the District’s motion to dismiss Student’s due process complaint in Case #2 based upon collateral estoppel and res judicata. Student’s instant appeal followed. 1. Student is a seventeen-year old boy who turns eighteen on July 27. AR Ex D-5, 330. 2. Student qualifies for special education services under autism, moderate mental retardation, and language impairment. AR HT 2008-12-02 157: 1-4. 3. The District by letter dated July 21, 2008 formally offered Student placement for the 2008-2009 school year at Canyon View School (“CVS”), a nonpublic school. AR D-Ex 38 560-561. 4. CVS serves students who are autistic, emotionally disturbed, and/or other health impaired. AR HT 2008-12-04 65:5-16. 5. When Mother failed to respond to the offer, on August 1, 2008 the District filed with OAH a due process complaint against Student seeking an order that the District’s July 21, 2008 offer constitutes FAPE and should be immediately implemented. The complaint was assigned case number 2008080193. 6. Student then filed a due process complaint with OAH on August 27, 2008 which was assigned case number 2008080953. AR PL 4-20. 7. OAH granted Student permission to file an amended due process complaint. AR PL 57-61. 8. On September 29, 2008, Student filed an amended due process complaint with OAH. AR PL 65-95. 9. The due process complaints were consolidated by order of OAH (“Case #1”). AR PL 43-44. 10. The sole issue that the District sought to adjudicate in Case #1 was the appropriateness of its July 21, 2008 offer of FAPE to Student including placement at CVS. AR PL 198. 11. Student in Case #1 made numerous claims that the District committed a denial of FAPE including, but not limited to claims that the District failed to assess Student in all areas of suspected disability, and failure to address Student’s unique needs for behavior intervention including a behavior intervention plan, counseling, behavioralist support, behavior assistant support and behavior therapy. AR PL197-198. 12. The due process hearing took place over six days between November 24 and December 4, 2008, and was presided over by ALJ Suzanne Dugan who took testimony from 19 witnesses. AR HT. 13. ALJ Dugan admitted 75 exhibits into evidence. AR D-Ex 1-64, S-Ex A, H, V, GG, KK, LL, MM, P, PP, TT, UU. 14. The District presented evidence that CVS offers an educational program and a full range of related services to children with autism, emotional disorders, mental retardation and with other developmental disabilities, neurological disabilities and sensory issues as explained in its Developmental Resource Program for Students with Autism and Other Developmental Disabilities. AR SD-Ex 60 695-698. 15. Student sought continued placement at home. AR PL 209:65. 16. Student called ten witnesses to testify in Case #1. Seven of those witnesses offered testimony as to Student’s aggressive behavior. AR HT 2008-11-24 25-32; AR HT 2008-11-24 56:2-3, 18-25; AR HT 2008-11-25 13:10-25, 14:1-21, 29-38; AR HT 2008-11-25 150:12-25; AR HT 2008-3-12 7:13-25,8; AR HT 200812-03 118:23-25, 119:7-22; and AR HT 2008-12-03 171: 16-20 Also see selected quotations ¶¶ 25-31 herein. 17. Patricia Kreyssler (Student’s teacher) testified that "you can’t physically get involved with him or you’re going to get hurt." AR HT 2008-25-11 31:25 to 32:1. 18. When describing Student’s turning over of classroom tables, Kreyssler testified that "(h)e actually gets it off the ground and tosses it…And he’ll take the chairs and actually throw them across the room." AR HT 2008-24-11 32: 4-12. 19. Testifying as to Student Exhibit V, Kreyssler described photographs that she had taken of the classroom with the date on them of January 10, 2008. She testified that Student had flipped over "everything in the room." Additionally, Kreyssler identified a photograph that she had taken of Mother saying: "that’s Stella and some of the bruises . . . ." AR HT 2008-25-11 33:24-25 to 34:1-4, 36:2-5; AR S-Ex V776-779. 20. Sargis Akopyan (Student’s recreation coach) described his aggressive behavior as "pinching, hitting, kicking, and digging into your skin with his nails…He pretty much does something every session, recently." AR HT 2008-25-11 25: 1-13, 25:25 to 26:1. 21. Akopyan also testified that "He’ll just hit you without warning." AR HT 2008-24-11 32: 10-12. 22. Mother testified that "there is the pinching, the grabbing, the hitting, sometimes the kicking, with me more so the other people as the pulling hair." AR HT 2008-25-11 203:4-7. 23. Student’s attorney during direct examination asked Mother, "On your arms you have a lot of marks. Where are those marks coming from?" Mother responded, "These are all from Taylor…" In prior testimony Mother said, "Oh, when I say pinching, we all call it pinching but what it actually is is (sic.) very, he gets you and he twists and that’s the cause of the bruising.” AR HT 2008-25-11 204:1-4, 203:16-18. 24. One of Student’s testifying experts was Dr. Paul Brown who testified that he had been treating Student for approximately 18 months. Direct examination of Dr. Brown included a lengthy discussion of the medications currently prescribed for Student to manage his behavior. First, Dr. Brown testified that Student was taking Invega "which is often used in the management of aggressive and volatile behaviors with autistic and special needs children." Next, Dr. Brown testified that Student takes Vyvanse "to decrease distractibility and impulsivity". Third, Dr. Brown testified that Student takes Clonidine which is "used to help with aggressive behaviors and irritability with a variety of conditions including autism". Finally, Dr. Brown testified that Student takes Seroquel which is "used as needed for control of explosive outbursts." AR HT 2008-3-12 7: 5-25 to 8:1-23. 25. Dr. Brown testified that Student’s current home instruction placement should be continued during planned medication changes. AR HT 2008-3-12 12:2-22. 26. Dr. Brown testified that if Student’s educational placement should change that it should be done after a transition period as Student was being treated with multiple medications to manage his behavior. AR HT 2008-3-12 12: lines 23-25 to 13:1-9. 27. Despite days of testimony surrounding Student’s aggressive behavior, at no time did Student’s counsel in Case #1 question Dr. Brown as to his opinion of Student’s current special education qualifying criteria which were autism, moderate mental retardation and language impairment (AR HT 2008-12-0212 157: 1-4). Also, Student’s counsel in Case #1 never asked Dr. Brown if Student, given his documented aggressive behavior would meet emotional disturbance qualifying criteria for special education. AR HT 2008-3-12 5-44. 28. The administrative record’s transcript of Dr. Brown’s testimony contains no record of Dr. Brown being asked if a residential treatment placement was appropriate for Student. AR HT 2008-3-12 5-44. 29. On January 7, 2009, ALJ Dugan rendered her decision in Case #1 in a 25 page order. The District prevailed on the issue of the appropriate placement for Student when ALJ Dugan determined in the Order that the District’s offer of placement at CVS was FAPE in the Least Restrictive Environment ("LRE"). AR PL 219 ¶ 11. AR PL 211 ¶ 76. 31. ALJ Dugan further found that: The District proved by a preponderance of evidence that its offer of July 21, 2008, constituted the offer of a FAPE. Ordinarily that would entitle it to the relief prayed, which would allow the District to implement the July 21, 2008 offer and transfer Student to CVS immediately. AR PL 212 ¶ 79. 32. However, ALJ Dugan held that: . . . Student proved that an immediate change of placement would endanger his behavioral stability and interfere with the supervised change of medications he is enduring. He also proved that this period of instability and change will last until approximately June 2009. It is therefore equitable to allow the District to implement its offer of FAPE after that period ends, which, as a practical matter, will be the beginning of the SY 2009-2010. AR PL 212 ¶ 80. 33. ALJ Dugan ruled that Student prevailed on a number of issues requiring that the District provide Student with a specified program of compensatory education to be provided between 30 days after the decision and the commencement of the 2009-2010 school year at CVS. AR PL 219 ¶ 2. Student has a significant history of behavior difficulties in school…Student had hit one of the female therapists at Elliott. Student became increasingly aggressive as he grew, and gradually became a danger to others . . . Student weighed over 200 pounds and was approximately six feet tall . . . His behavior including hitting. AR PL 201 ¶ 17. Ms. Kreyssler established that when Student became enraged, he turned over furniture, including desks that were too heavy for her to lift and tried to grab and hit her. . .
AR PL 202 ¶ 18. Mother testified that when student was agitated, he attacked her. Sometimes, while being driven to school, Student would reach over the seat and grab the steering wheel. AR PL 202 ¶ 19. She (Sofia Sanchez) saw in Student the same non- compliant and repetitive behaviors that she had observed at Elliott, including pinching, grabbing, scratching, kicking, hair pulling, and hitting. AR PL 202 ¶ 20. Gene Hurwin, an occupational therapist who the District had hired for the Student, wrote on January 31, 2007, that Student’s behavior included frequent self stimulation, inability to rein in his action when around other students and staff, trying to pull a female coach’s pants down and looking under the skirt of another female coach. AR PL 202 ¶ 21. The District met its burden of proof that Student’s behavior could adequately be managed at CVS. AR PL 212 ¶ 77. 35. The parties had until April 8, 2009 (90 days) to appeal the January 7, 2009 OAH decision. Neither Student nor the District appealed the decision. AR. 36. Student on July 27, 2009 filed a new due process complaint against the District with OAH. The complaint was assigned case number 2009070989 (“Case #2”). Ex. "B" Marderosian decl. 37. Student’s complaint in Case #2 complained of the failure of the District to convene an expanded IEP meeting for the purpose of evaluating the appropriateness of a Residential Treatment Center (“RTC”) placement. Ex. "B" Marderosian decl. 19. Student’s request that the District convene an IEP meeting to discuss a placement other than CVS is an attempt to set aside the Decision. Student’s present complaint asserts that Student requires a residential placement based on allegations that include the time period decided in the prior Decision. The Decision ordered Student’s placement at CVS at the start of the SY 2009-2010 based upon the evidence presented by both parties and the District cannot offer a different placement that would contravene the Decision. 40. Student has requested that the Court take judicial notice of his filing with OAH on August 7, 2009 of an amended complaint adding new allegations that the District 1) failed to assess Student in all areas related to a suspected disability and 2) that the District failed to include "emotional disturbance" as a secondary eligibility. Ex. "A" Park Request for Judicial Notice. 42. Student has provided the Court with no evidence that the amended complaint was filed with leave of OAH or the consent of the District. 43. Student has provided the Court with no evidence that ALJ Castillo considered Student’s amended complaint when dismissing Student’s initial complaint in Case #2. 44. Student filed the instant appeal on September 30, 2009. 45. By Minute Order dated November 16, 2009, this Court ruled that the administrative record which Student was ordered to lodge with the Court was the initial hearing (Case #1) not the second due process case (Case #2) that was dismissed by reason of res judicata. 46. On February 26, 2010, Student lodged the administrative record of Case #1 with the Court. 47. The administrative record lodged with the Court does not include the administrative record for Case #2 including Student’s dismissed due process complaint. (AR) Accordingly, the District has requested that the Court take judicial notice of ALJ Castillo’s decision and Student’s due process complaint in Case #2. (Ex "A", Ex "B" Marderosian decl.) Student has requested that the Court take judicial notice of an amended due process complaint filed with OAH on August 7, 2009. (Ex "A" Park Request for Judicial Notice) No opposition was filed to either request. 1. Any Finding of Fact deemed to be a Conclusion of Law is hereby incorporated into these Conclusions of Law. 2. Student’s and District’s respective Requests for Judicial Notice are granted pursuant to Fed. R. Evid. 201. 6. The California Education Code incorporates these detailed due process procedures beginning with Section 56501 continuing through Section 56507. 7. In California, OAH is charged with the responsibility of conducting special education due process hearings. 11. Federal Court jurisdiction over complaints relating to the IDEIA is limited to appeals of administrative decisions. (e) A party may amend a due process hearing request notice only if the other party consents in writing to the amendment or the due process hearing officer grants permission. 15. The party challenging an administrative decision bears the burden of persuasion that the ALJ decision should be reversed. (Clyde v. Pullayup Sch. Dist., No. 3, 35 F.3d 1396, 1399 (9th Cir. 1994). 18. As stated in San Remo Hotel, L.P. v. City and County of San Francisco, California, 545 U.S. 323,(2005), “Under res judicata, a final judgment on the merits of an action precludes the parties or their privies from relitigating issues that were or could have been raised at that action. Under collateral estoppel, once a Court has decided an issue of fact or law necessary to its judgment, that decision may preclude relitigation of the issue in a suit on a different cause of action involving a party to the first case.” San Remo, 545 U.S. at 337, citing Allen v. McCurry,449 U.S. 90,94 (1980). 19. In the dismissed due process complaint, Student’s sole claim was District’s failure to convene an expanded I.E.P. meeting in light of Dr. Brown’s assessment of Student as “emotionally disturbed.” Litigating this claim before OAH would necessarily require litigating the issue of whether Student is properly assessed as emotionally disturbed. This issue could have been raised by Student in Case#1. 20. The bulk of evidence of Student’s emotional disturbance was available to Student to present at the hearing in Case #1, and in large part was presented. Additionally, Dr. Brown, the person who has assessed Student as emotionally disturbed, testified at length at the hearing in Case #1 and nearly all of Student’s witnesses testified about Student’s behavioral issues, many at great length. All of this indicates that the basis for Student’s assessment as emotionally disturbed could have been litigated in Case #1, and relitigating the issue now is barred by the doctrine of res judicata. 21. 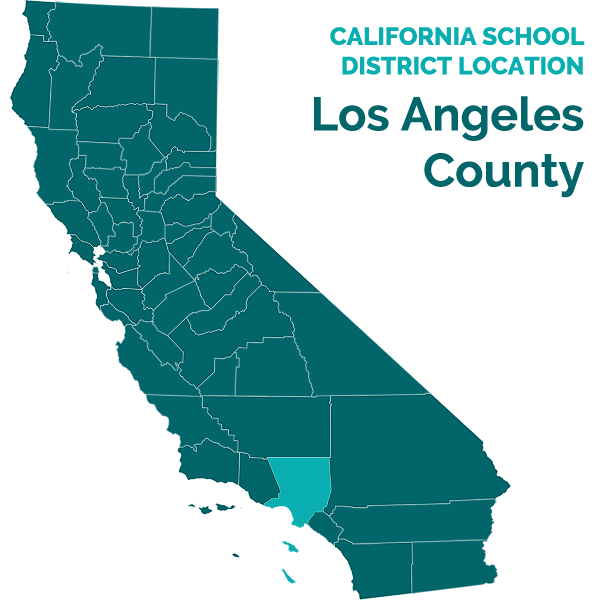 Additionally, granting Student his requested relief would necessarily require relitigation of the appropriateness of the District’s proposed placement at Canyon View School for the 2009/2010 school year. That issue was clearly decided by ALJ Dugan in Case #1. As such, Student’s request for a due process hearing in Case #2 was also barred by the doctrine of collateral estoppel. 22. Finally, contrary to Student’s argument, Student’s dismissed complaint did not present any new facts as to allow an exception to the rule of collateral estoppel and res judicata. 25. The Ninth Circuit has recognized exceptions to the exhaustion requirement in very limited circumstances. Those cases generally fall under four narrowly-defined exceptions: a) where it would be futile to use the due process procedures; b) where the agency has adopted a policy or pursued a practice of general applicability that is contrary to the law; and c) where it is improbable that adequate relief can be obtained by pursuing administrative remedies and d) where filing a compliance complaint with the state may serve as a substitute for exhaustion requirements of IDEA. (Hoeft v. Tucson Unified School District, 967 F. 2d 1298, 1303, 1308 (9th Cir 1992).) None of the exceptions apply to the appeal before this court. 26. The only issue before this Court is the appropriateness of ALJ Castillo’s dismissal of Student’s request for a due process hearing in Case #2. The sole issue in that request for a due process hearing was the District’s failure to convene an expanded I.E.P. team meeting in light of Student’s diagnosis as emotionally disturbed. There is no evidence that Student successfully amended his due process complaint prior to ALJ Castillo’s dismissal. As such, Student did not exhaust at the administrative level his other claims in this appeal. 28. Accordingly, Student’s third, fourth, fifth and sixth causes of action are dismissed for failure to exhaust his administrative remedies. F.R.C.P. 12(b)(1). 29. ALJ Castillo’s dismissal order is affirmed and Student’s complaint is dismissed. IT IS SO ORDERED for the reasons articulated above, Student’s appeal is denied as to all claims, and the decision of ALJ Castillo is affirmed. A judgment shall be entered in favor of the District on all claims consistent with these Findings of Fact and Conclusions of Law.